The US Environmental Protection Agency has confirmed that AK Steel Corp.’s former iron and coke production plant has indeed contaminated a nearby aquifer but clarified the aquifer does not supply drinking water to the city of Hamilton or Liberty and West Chester townships. What raised concerns was the fact that the plant on the 252-acre site is less than half-mile away from the wellheads for New Miami and Hamilton, which serves part of Liberty and West Chester townships as well. Though contamination was found in the aquifer, the New Miami wellhead is places at a higher elevation than the aquifer and hence it will not be affected, said Pablo Valentine, project manager for the site. On the other hand, the deep aquifer which supplies water to Hamilton has not shown any trace of contamination, he added. There is no indication that the aquifer that supplies drinking water to Hamilton is impacted” by the contamination. 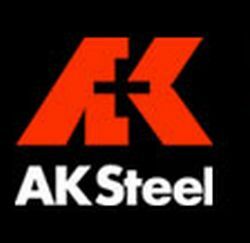 AK Steel is conducting an investigation in the matter and the Middletown-based steelmaker has decided to issue fish consumption advisory warnings on the Superfund site near the Great Miami River.